This is the prettiest, girlie martini. Great for a girls night out or bachelorette party! Rim a martini glass with the lavender sugar. Shake the first 3 ingredients and 1 cup ice in a martini shaker. 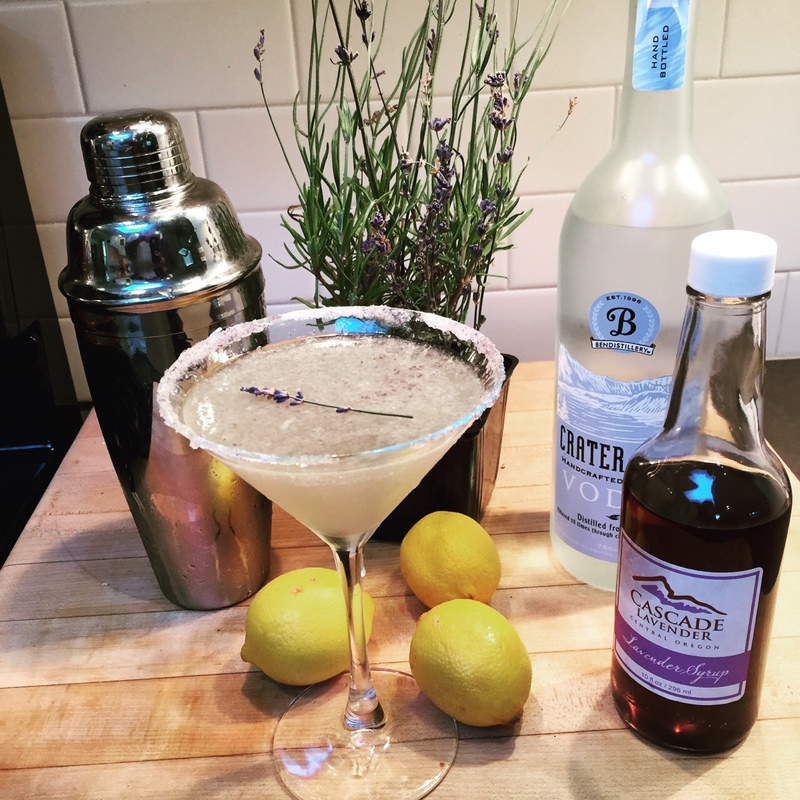 Pour and garnish with a fresh lavender sprig. To add a little “bling” drop a pinch of lavender-colored sugar into glass. "a person whose diet only or principally of locally grown or produced food"